The absolute loudest sound I have ever heard was the sound of a top fuel dragster as they would spin the rear wheels in the bleach box, just behind the starting line on the drag strip, to heat the tires up! I was only a few feet away, working as security to keep people out of that area at the NHRA Winternationals. This was a long time ago, but it is something that I will always remember. The sound of those top fuel dragsters revving their engines at top RPM was a sound unlike any other I have ever experienced! It was SO loud, it did not even sound like I was hearing it through my outer ear. It sounded (and felt) like the sound was emanating in my gut and the sound was exiting my body through my ears! I have no idea what the actual sound pressure level was that day, but it had to have been at least 140 decibels. I was not wearing any hearing protection! Sound does not have to be as loud as that to cause Noise Induced Hearing Loss. Do you know what NIHL is? Do you know what sound levels are safe to be exposed to and for how long? How can you minimize the risk? Noise Induced Hearing Loss is any hearing impairment that is as a result from exposure to loud sound. It is preventable and it can be permanent! In order to keep our hearing in good health we need to know what levels to limit to. You might be surprised just how loud the sounds of our day-to-day environment actually are. The average office noise or classroom usually reaches average decibels of 60 – 70 decibels. 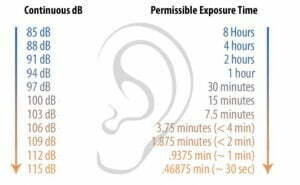 Long term exposure to sounds at 85 decibels or above can cause permanent hearing loss. The National Institute for Occupational Safety and Health (NIOSH) recommends that the level of noise exposure in the workplace is no more than 85 decibels (dB) for 8 hours per day. Of course the ear can be exposed to short periods of loud sound, in excess of 120 dB, without permanent damage. It is all a function of the loudness and the length of exposure. 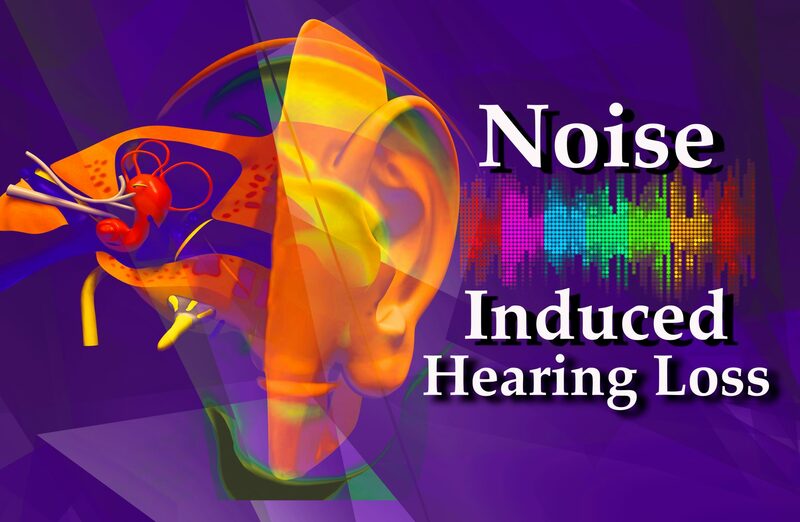 Whenever I teach an audio production or sound design class, I always include a short workshop on Noise Induced Hearing Loss. I figure, as an audio professionals, we need to know what NIHL is, and how to create a safe work environment. One part of that workshop is to use some sort of Sound Pressure Level Meter to take measurements of our sonic environment. Probably one of the most readily available, and affordable SPL meters is via a mobile device app. There are many to choose from. Here are some recommendations. Be mindful and be aware. Avoid noise hazards in and around your environment and turn the volume down while listening and mixing in your studio or home. Educate yourself on sound levels and exposure limits. Take steps to limit your exposure to harmful levels and exposure times. Give your ears a break. Take lots of time to rest your hears with little or very quiet sounds. Purchase and use hearing protection devices, earmuffs, and earplugs as the situation warrants. There are many available that attenuate the sound levels without blocking out the frequency response. May you have a lifetime of excellent hearing so you can live and work in the wonderful sonic environment in which we live!